Protein identification by mass spectrometry is one of the most important steps in proteomics. Proteins are typically digested into peptides using an enzyme prior to the mass spectrometry (MS) step. The most popular enzyme used for protein digestion is trypsin. 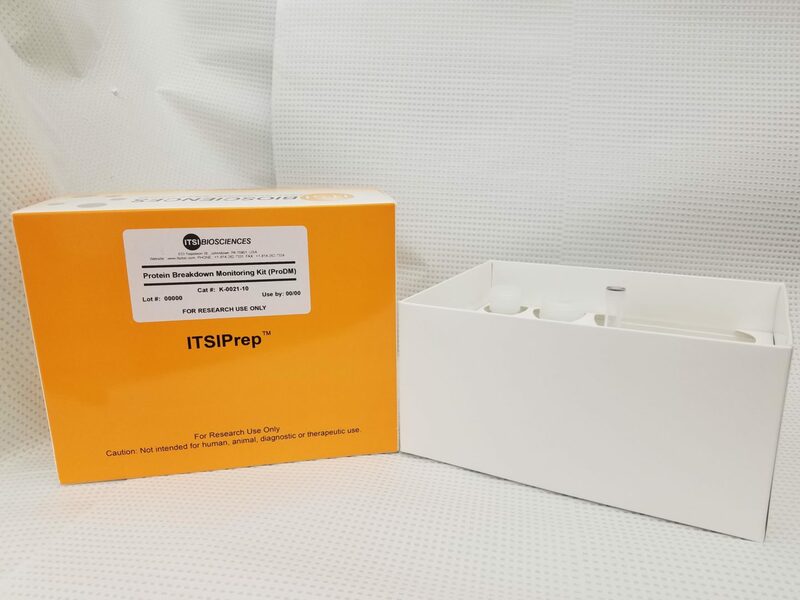 ITSIPrep Trypsin Digestion Monitoring (TrypDM) Kit is the first kit to allow fast and accurate monitoring of the level of protein digested when trypsin or any other enzyme is used. 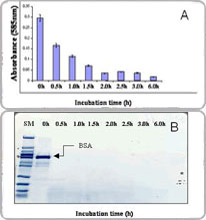 No gel electrophoresis is required to confirm that the protein is digested. 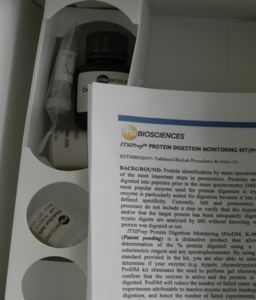 The TrypDM kit will enable researchers to easily and quickly test the trypsinized sample to accurately determine the extent of digestion. This will increase the overall efficiency of protein mass spectrometry by reducing the number of failed experiments, and hence the overall cost of proteomics research.